In Nova Scotia, summary offence tickets (SOTs) issued under the Motor Vehicle Act, the Liquor Control Act, municipal bylaws and some federal laws, are prosecuted in the Provincial Court. Summary offence tickets are not criminal charges. In most areas of the province, these matters are dealt with in court during the day. However, in the Halifax Regional Municipality and the Cape Breton Regional Municipality, these matters are typically heard by a Presiding Justice of the Peace in the evening. This is referred to as Night Court. If you have received a summary offence ticket, review the frequently asked questions below to help you understand the court process and consider the options available to you. PLEASE NOTE: This is legal information only, not legal advice. Anyone with specific questions about a matter before the courts is encouraged to consult with a lawyer. WHAT IS A SUMMARY OFFENCE TICKET? I CAN'T MAKE IT TO COURT - WHAT DO I DO? I GOT A TICKET - NOW WHAT? WHAT HAPPENS IF I DON'T SHOW UP IN COURT? DO I HAVE TO GO TO COURT? WHAT IF I MISSED THE DUE DATE AND STILL WANT TO ARGUE MY TICKET? HOW DO I PAY MY TICKET? WHAT HAPPENS IF I HAVE BEEN CONVICTED AND DON'T PAY MY FINE? I WANT TO ARGUE MY TICKET - WHERE WILL MY COURT CASE BE HEARD? HOW MANY POINTS WILL I LOSE OFF MY LICENSE FOR MVA CONVICTIONS? WHEN DOES NIGHT COURT SIT? HOW DO I APPLY TO WITHDRAW A TICKET FOR FOR DRIVING WITH NO INSURANCE OR NO LICENSE? What is a summary offence ticket (SOT)? Summary offence tickets are issued by peace officers for offences under Nova Scotia laws, like the Motor Vehicle Act, municipal bylaws, and some federal laws. They are not criminal charges. The ticket shows you the offence you have been charged with, a brief police record of the information relating to the offence, the due date before which you must visit the Court Administration Office, and the court which has jurisdiction over your case. Summary offences are punishable on summary conviction and are liable for fines of not more than $2,000, to imprisonment for up to six months, or to both a fine and imprisonment. The total penalty for the offence is shown on the ticket. I got a ticket - now what? 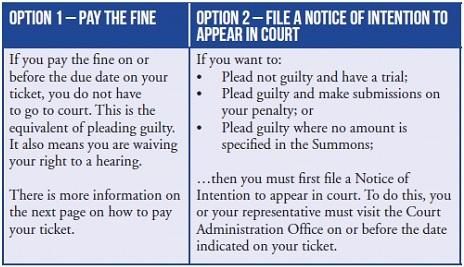 If you receive a summary offence ticket, you have two options: plead guilty and pay the fine or file a Notice of Intention to appear in court. In either instance, your first stop will be to the Court Administration Office. Staff there will walk you through the process but they cannot provide legal advice. you have other such questions to ask the court. Mail your signed ticket and a money order or cheque to the address indicated on the ticket. Cheques must be made out to ‘The Provincial Court’. Do not send cash in the mail. I want to argue my ticket. Where will my court case be heard? If your ticket was issued in the Halifax Regional Municipality, your matter will be heard at either Provincial Court in Halifax (5250 Spring Garden Rd.) or Dartmouth (277 Pleasant St.). Your court documents will indicate which one. Most summary offence matters are heard in the evening in Halifax by a Presiding Justice of the Peace. This is often referred to as Night Court. You should try to arrive at the courthouse early. If you arrive late for your court appearance, you may be convicted in your absence. 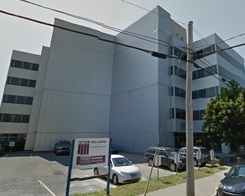 If your ticket was issued in the Cape Breton Regional Municipality, your matter will be heard at the courthouse in Sydney at 136 Charlotte Street. When does Night Court sit? 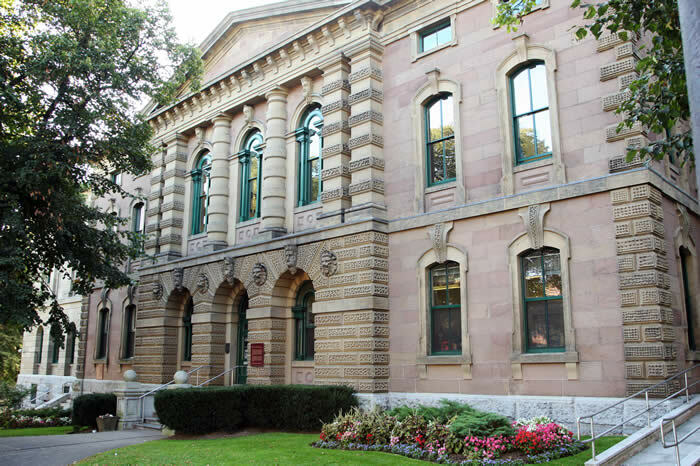 In Halifax, Night Court sits at 6 p.m. four days a week (Mondays - Thursdays). In Sydney, Night Court sits every Monday at 6 p.m. to hear peace bond applications and at 6 p.m. every Wednesday for Motor Vehicle Act infractions. Occasionally, Night Court in Sydney will also sit on Tuesday evenings, as needed, to deal with any backlog. I can't make it to court - what do I do? It is your responsibility to make it to court on the date and time indicated. If you do not make it to court, you may be convicted in your absence and if a license suspension applies, your driver’s license will be suspended. A Justice of the Peace may grant adjournments for valid reasons, particularly when you apply for an adjournment well before the trial date. If you are unable to attend Court for any reason, contact the Court Administration Office immediately. Staff can assist with adjournment requests but they cannot adjourn your matter — that is up to a Justice of the Peace. In most instances, a Justice of the Peace will enter a conviction in your absence. If a license suspension applies, your driver’s license will also be uspended. A notice of conviction will be mailed to you showing the fine you must pay, default time, and a date by which the fine must be paid. What if I missed the due date and still want to argue my ticket? conviction, provide you with a certificate and a trial date at which you can now appear to contest the ticket. Beyond 60 days of your conviction date, you can visit Court Administration and ask for a hearing before a Provincial Court Judge. In these instances, there is an application fee of $54.50 per ticket or $81.75 for multiple tickets with the same conviction date. For multiple tickets with different conviction dates, the application fee is $54.50 per ticket. What happens if I have been convicted and don't pay my fine? Your fine may be sent to another government department for collection. As well, if you were convicted of any motor vehicle related offence, the Nova Scotia Registry of Motor Vehicles may refuse to renew your driver’s license or vehicle permit, or provide you with any other service until the fine is paid. The Registry will also charge you an additional fee to regain that privilege. I received a ticket under the Motor Vehicle Act. How many points will I lose off my license if I plead guilty or am found guilty? You can visit the REGISTRY OF MOTOR VEHICLES WEB PAGE >> for more information. You can also email askus@novascotia.ca or call 902-424-5200 or toll-free at 1-800-670-4357. How do I apply to withdraw a ticket for driving with no insurance or no driver's license? If you receive a summary offence ticket for not having your driver's license or proof of insurance while driving, and you can provide valid documentation to prove otherwise, you can apply to have the ticket(s) withdrawn without going to court.